Knows that there's always a reason to smile. Having a wide array of services mean options for you and your child. “I feel blessed being able to do what I do. 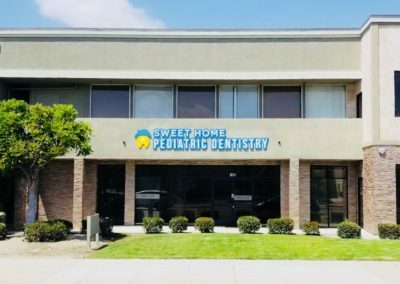 As a pediatric dentist, I can help lay down a foundation for a lifetime of healthy smiles since I get to see my patients starting at such a young age. 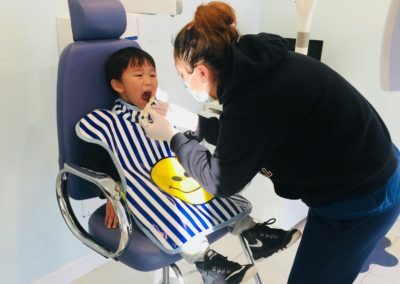 As a mom myself, it gives me so much joy to see my patients grow up with healthy smiles, and learn the importance of diet choices and oral health care. I love to be there for parents with infants and toddlers, teaching them how to take care of their children’s first set of teeth. I love equipping moms and dads with right tools and information as their children begin to lose their first baby teeth and grow their first permanent teeth. For parents with teenage children, I love simply giving my listening ears as they deal with mood swings, peer pressure, and braces. “Being a pediatric dentist allows me to care for families and watch them grow, while making sure they get the best oral health care. Whether it’s helping them make better diet choices or learning how to prevent cavities, I love helping families become more equipped and empowered to take care of their teeth and mouths. I consider it a privilege to be a part of a child’s dental experience and help create a solid foundation for good oral health in the future. The best dentistry for my four kids. Everyone is pleasant and caring to my family! Friendly staff member, with a clean professional space, and a doctor who goes above and beyond, listen to their patients, and truly cares. We’ve been coming here since my kids were young. The staff here is very kind, and they’re also very helpful! Especially Dr. Sam Lee and Hanna Song are very kind and treated us like family. We live far away but we still come here because they make everything easy. We recommend everyone to come here for their kids. My girls have been coming here since one! They have high standards in terms of hygiene and we feel we are in good hands! The staff here are so much fun! Would not go anywhere else.